It is the fable story of freewill and submission and of being lost and being found. Once upon a time, in animal farm, there was a sheep called Joe Sheep. He was living with a group of sheep, guided by a shepherd, the master of the farm. In the morning, the Shepherd guided his sheep to the green pasture. He let his sheep to find and eat grass as well as drink the water. He protected his sheep when they were in danger. He drove out the wolves with his stick when they wanted to hunt his sheep. He escorted the sheep to avoid the dangerous place. The Shepherd loved them all. There was interaction among the sheep. They talked each other. Junior sheep learned from senior sheep. Junior sheep learned to get the right grass to eat but some senior sheep were too greedy to guide them to the right food. Some sheep did not want to share the food with others. Some sheep acted as if they had been the shepherd in order to dominate the other sheep. However, in the group of sheep, there were good friends, who were happy if the others were able to get the right grass. Joe Sheep was happy because he had learned from some senior sheep. He was become experienced to get the health food. He was happy because some senior sheep were willing to share the food with him. Even if some other sheep told the wrong way to get the food and made him lost, he felt that he was lucky because the Shepherd found him when he shouted for help. There was also competition in the group of sheep and Joe Sheep should survive. Joe sheep was confused which sheep he should believe. Some sheep told the truth whereas the others told a lie. Some sheep scolded, blamed, and judged the sheep which had been lost and found. However, the shepherd tried to find the lost sheep and he did not beat the lost sheep with his stick. He really loved his sheep. Sometimes, Joe sheep was confused whether he was lost or in the right place when he was trying to find the green grass. Being lost was very uncomfortable. Once day, he was lost in the darkness, he shouted for help. The shepherd called Joe sheep’s name to get him back but he did not listen because he got inflamed of his ear. However, he was grateful when the shepherd found him and brought him back. Once upon a time, when his friends and he were brought to the green pasture with water pool, he found the place with long grass. It was the place with a lot of food. “Hi Kid! You are lost. It is not the place for you!” Big Sheep said. “But it is good food for me. I have learned from others to eat the grass like it.” Jo Sheep answered. 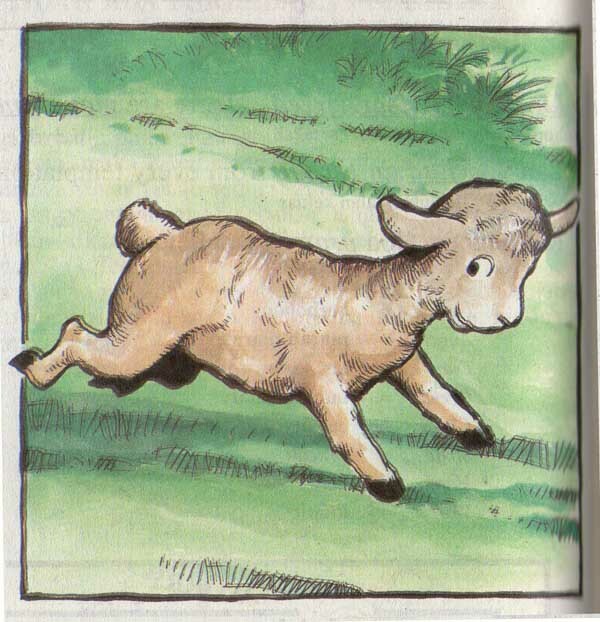 Joe Sheep followed Big Sheep because he was not confident with the place he was found. Big Sheep and Joe Sheep walked to the far place. The Big Sheep showed him the place with yew berries. Yew berries were beautiful. They had green leaves and attractive red fruits. “Yew berries look delicious, don’t they?” Big Sheep asked Jo Sheep. Joe Sheep was bedazzled by the beauty of yew berries. “Young Sheep, it is the best place for you. Yew berries are very yummy.” Big Sheep said. Joe Sheep’s heart was attached to the yew berry’s beauty. Silently, Big Sheep left Joe Sheep alone. “What a beautiful food! It’s yummy!” Jo Sheep said to him self, moving closer to the Yew Berries. “Hi, don’t eat them” the Shepherd warned Joe Sheep. Joe Sheep ignored the Shepherd. Perhaps, he got problem with his ear and could not hear the Shepherd’s voice or perhaps, he did not want to listen because he was bedazzled with yew berries’ beauty. Jo Sheep were moving closer to the yew berries and ready to eat them. He was drooling at his mouth. “Joe Sheep, They are not the food for you. They are poisonous.” Shepherd said. Jo Sheep ignored the Shepherd. The Shepherd came to Jo Sheep and pulled Joe Sheep to keep him away from the yew berries. Joe Sheep struggled to free himself because he really wanted to eat yew berries. “Master, why don’t you let me to eat these beautiful berries. Why don’t you just give these berries to me? I really want them!” Joe Sheep screamed. “Joe Sheep, Listen to me! You will be sick if you eat the poisonous berry. I just want you happy.” Shepherd tried to calm Jo Sheep. “But I want them”, Jo Sheep complained. “I give you freewill but you need to be responsible and you have to learn. I will not let you to eat poisonous berry and get problem. You must learn. If you choose to do your own will to eat the poisonous thing, you will get problem. Sometimes, I do not give you all what you want but I give you what you need.” The Shepherd calmed Joe Sheep down. It was the first time Joe Sheep was able to listen to the Shepherd’s voice clearly. He was aware that the Shepherd had just saved him. “Master, I believe that you will make me happy.” Joe Sheep said, looking into the Shepherd’s eyes. He was aware how good his master was. “Master, I will do my best for my life. Honestly, sometimes, I am lost. That’s why I ask you to find me when I am lost. When I open my heart to you, I believe that I will be found when I am lost. Many times, I ask you to listen to me and give me what I want but sometimes something that I want is not good for me. Now, I know that I need to listen to you. Speak to me and make me able to listen to your guidance! However, sometimes, the dusts in my eyes make me not able to see your guidance clearly. Sometimes, I get problem with my ear and cannot listen to your voice. That’s why I ask you to touch, let, and guide me to the right place. I believe you will make me happy. You will give me what I need.” Joe Sheep said honestly to the Shepherd. The Shepherd hugged Joe Sheep. “With freewill, I will do my best and learn to get the food, become a good friend of another sheep, and find the right spouse but I will submit my life to your will. I believe you. Your will is the best one.” Joe Sheep said.